The Magic Of Christmas Blog Hop!!! Welcome to the SVG Attic-DCWV The Magic of Christmas blog hop! We are so excited to have you join us today! 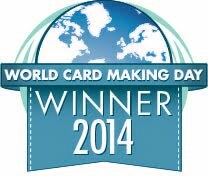 At each stop of the hop we hope you will be inspired by the creativity of the design teams of SVG Attic and DCWV. You are sure to find many wonderful projects that will be at the top of your Christmas crafting lists! You should be arriving from Cyndy's blog. If you happened across this post out of order, please head to the SVG Attic blog to start at the beginning of the hop. 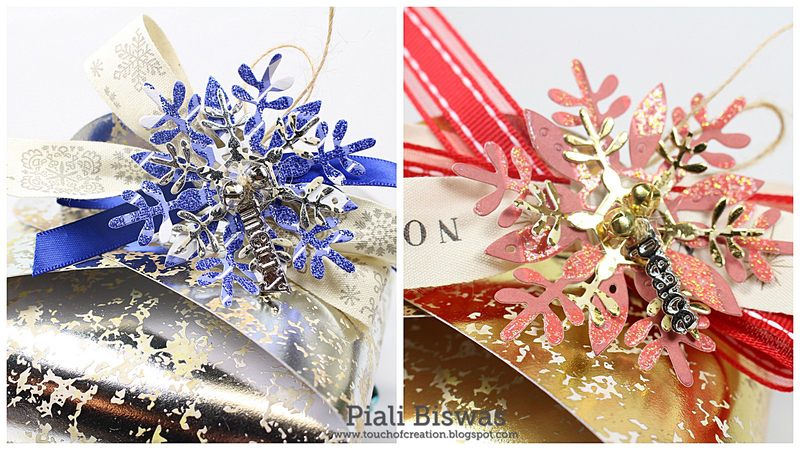 A gift set... card and beautiful snowflake gift box! 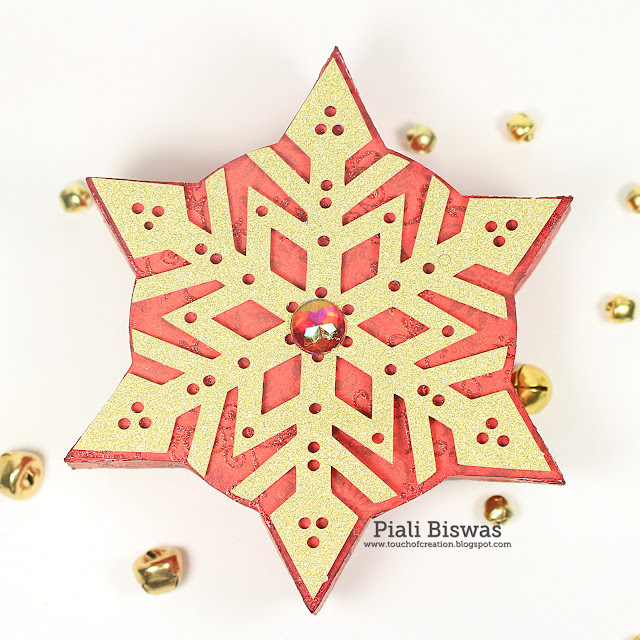 I used DCWV- Glitz stacks and 3D snowflake box from THIS SVG set for this project. For the card focal point I used the only the box topper and the snowflake cut. Love the details on the snowflake cut!! I'm a big time snowflake fan!!! I sentiment stamp is from Mama Elephant. The 3D snowflake box is beautiful!!! I used Silhouette cameo to cut this file. Its super easy to assemble!!! Fun part of the SVG files are that I make the box in various sizes. Hope you all liked this gift set!!! 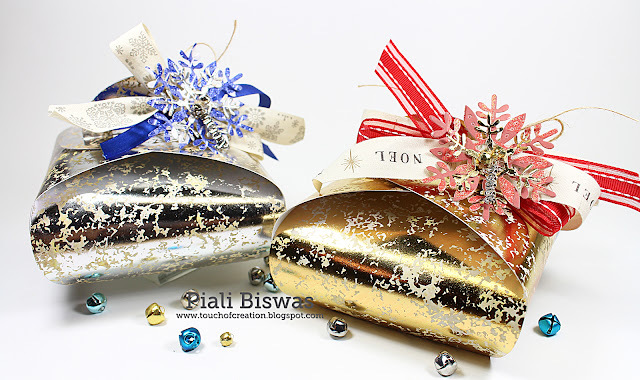 Scrap & Craft Challenges : Christmas. Fab 'n' Funky - Christmas. 1. Become a follower and/or email subscriber of each blog in the hop. 2. Leave some comment love at each stop. You can do so until midnight on Sunday, November 29th to be eligible for the prizes. 3. If you do both of the above, check back at the SVG Attic blog and/or the DCWV blog for the winners on Tuesday, December 1st. We would also love it if you would stop by the SVG Attic and DCWV Facebook pages and give us a "Like"! I hope you have enjoyed this stop on our hop! Be sure to head on over to the other stops for more Christmas inspiration. Comment and become a follower to be eligible for the prizes! SVG Attic currently has all of their files on SALE for Black Friday/Cyber Monday! 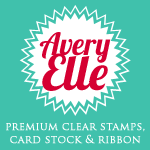 Stop by their website at www.svgattic.com to purchase their SVG files at amazing prices. Also, DCWV papers are on sale at Michael's stores right now, so stock up so you can create all of the fun things you saw today! I'm also giving away a $10 GC to SVGAttic on my Instagram ...check it here. 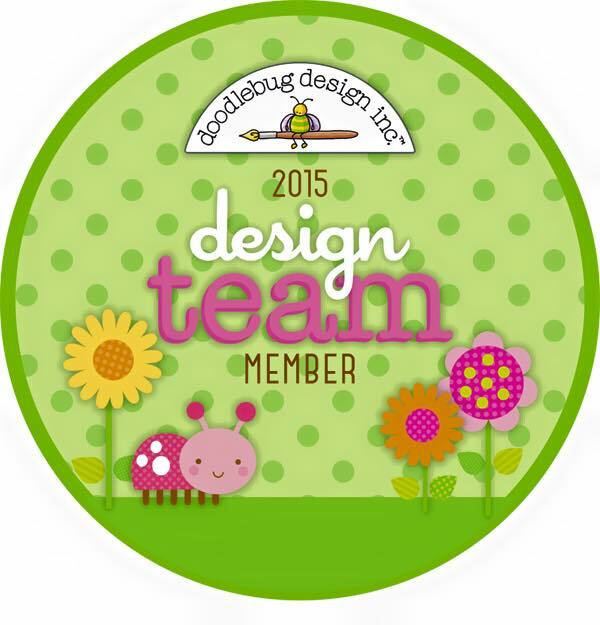 I'm on Doodlebug Designs blog today! 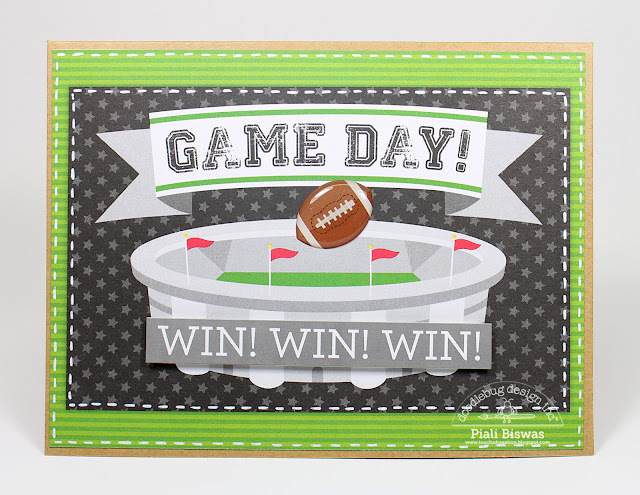 Did you all see the new Doodlebug Touchdown collection yet??? 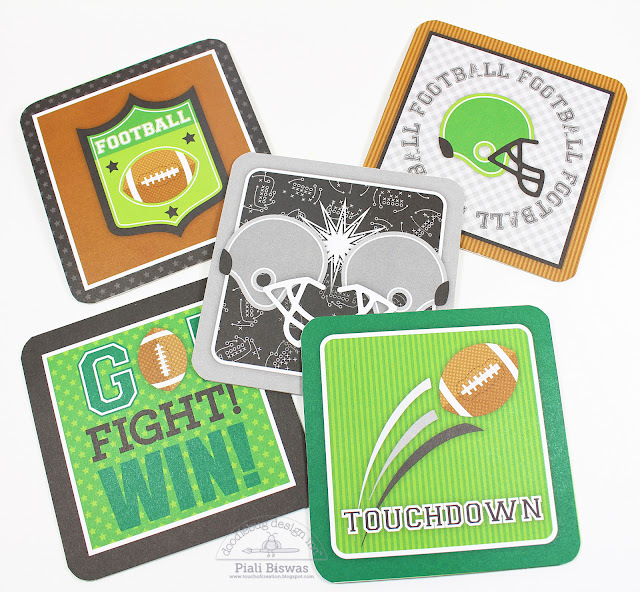 Today I have project using TOUCHDOWN collection. 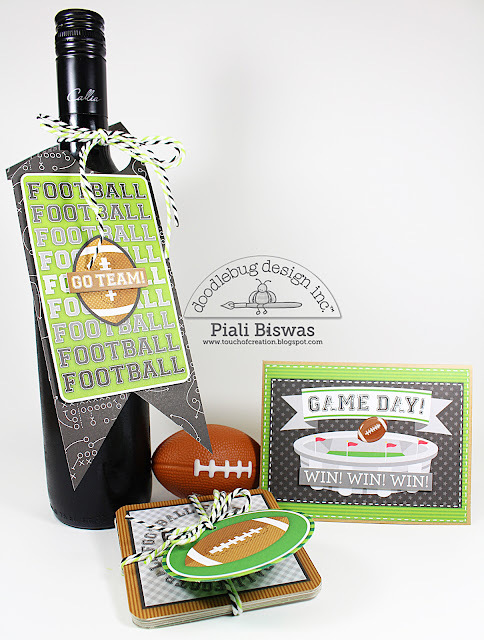 A gift set for Football fan!!! Love the new chunky twines!!! Simply used Mod Podge to adhere the papers to the cardboard coasters. I used the 4x6 print and stickers. Hope you like this gift set!!! I'm on DCWV blog today ..sharing a fun project! Place tags... for the table!!! 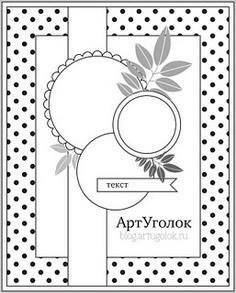 I made few place tags and few mini frames for the table settings. I used DCWV Cork, Chalkboard, Glitzy and Harvest House stacks for this project. 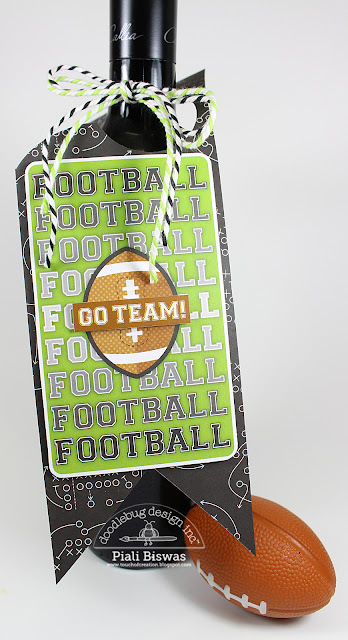 I used Spellbinders dies for the tag base and some diecut leaves as embellishments. I also trimmed some foiled prints from 6x6 paper. As its a chalkboard, these tags can reused . I used chalk to right the names. I'm planning to give them as return gift with box of chocolates!!! Hope you all like this fall project idea!! Did you all check out the new DCWV Stack-A-Holic challenges sketches yet??? Please check out the sketches HERE. 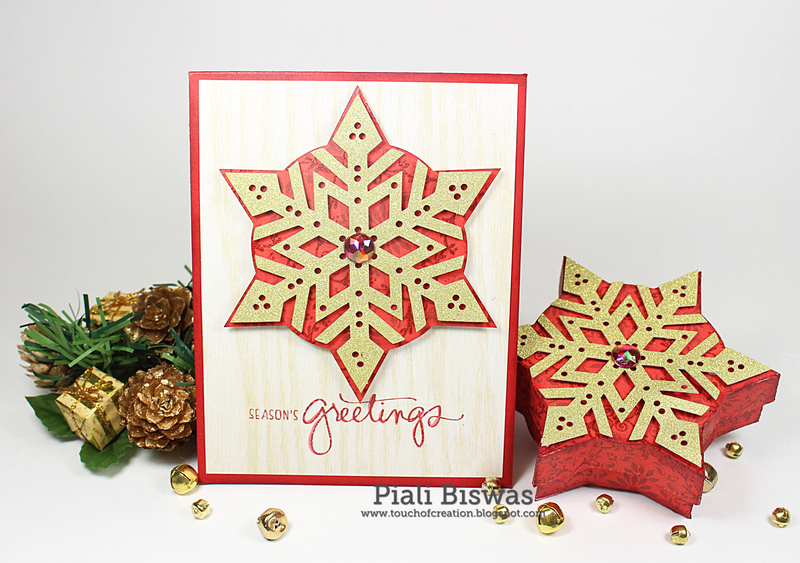 I used new DCWV- DIY Winter Ornaments stack and Frosted Spruce stack for this card. 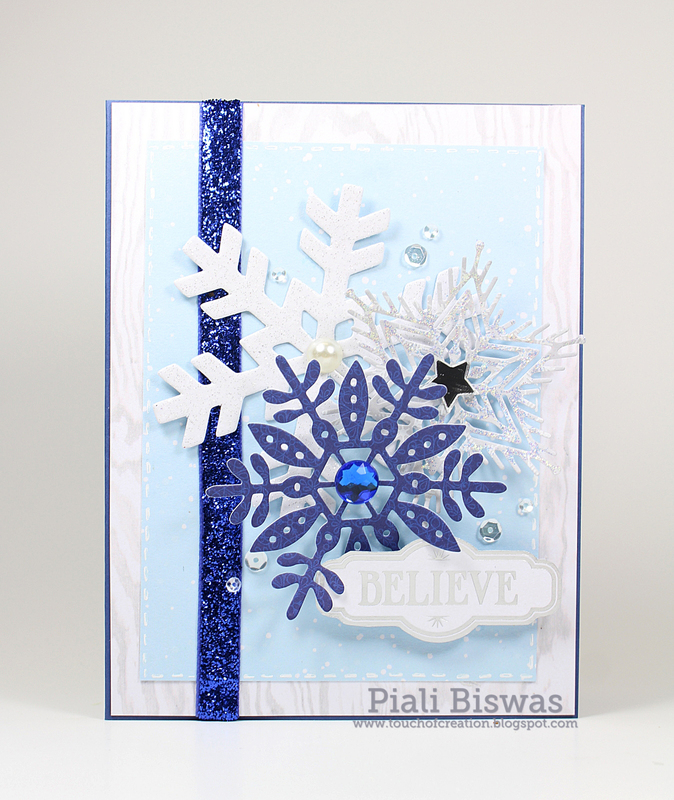 The big white glittery snowflake is the diecut from the DIY Ornaments stack, the grey snowflake I diecut using Waltzing Mouse dies and the blue one with Avery Elle die. 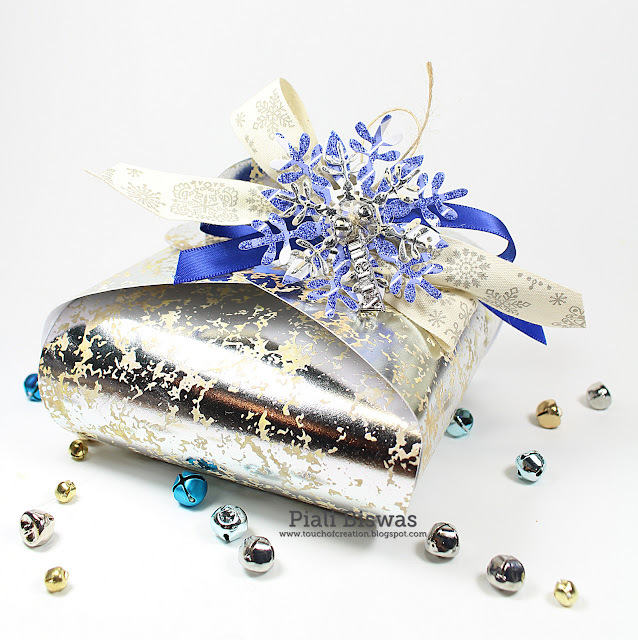 The gorgeous blue ribbon is from MayArts! I also added few clear sequins and DCWV mirrored star & pearls. These stacks are available in Joann stores or Joann.com. Holly Jolly Christmas Challenge- Ribbons & Pearls. 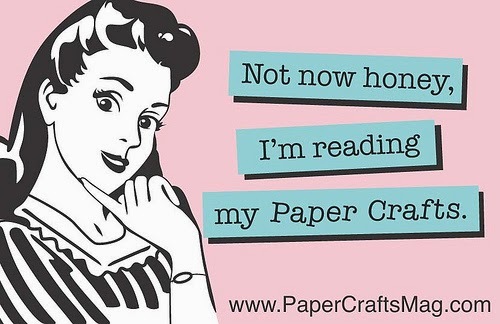 Crafting With An Attitude -Anything Goes. Today I have layout &Thank you gift set using new Doodlebug Goal collection to share with you all!! Doodlebug Designs have come up with amazing sports themed paper collections... here is one for Soccer!!!! My younger daughter plays soccer, this year's season is still going on, I used the pictures from last years practice for my layout. Oh my! my girl has grown up a lot in one year! Miss those chubby cheeks! I love this GOAL collection...FABULOUS!!! The washi tapes from this collection are just awesome!!! I used the washi tapes, stickers from the sticker sheet and Doodle pops for this layout. Makes a great thank you gift!!! A quick and easy card using the 4x6 printed journalling card, washi tapes and Skinny alphas. I added some stickles to the soccer ball. Here is a gift card holder..
Love that the color scheme works for masculine projects perfectly!! A Starbucks gift card perfectly fits in it!! Hope you all like these projects! This Goal collection is dream for the soccer moms or anybody who loves or play soccer!!! Welcome to DCWV-May Arts blog hop!!! 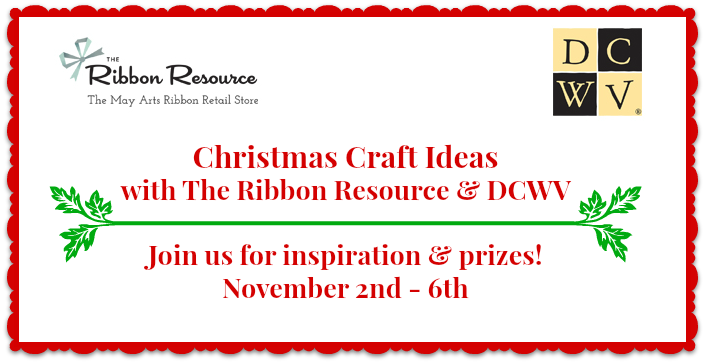 We the DCWV DT joining with May Art team to bring you some fabulous Holiday crafting ideas!! Here is a gift packaging idea.. 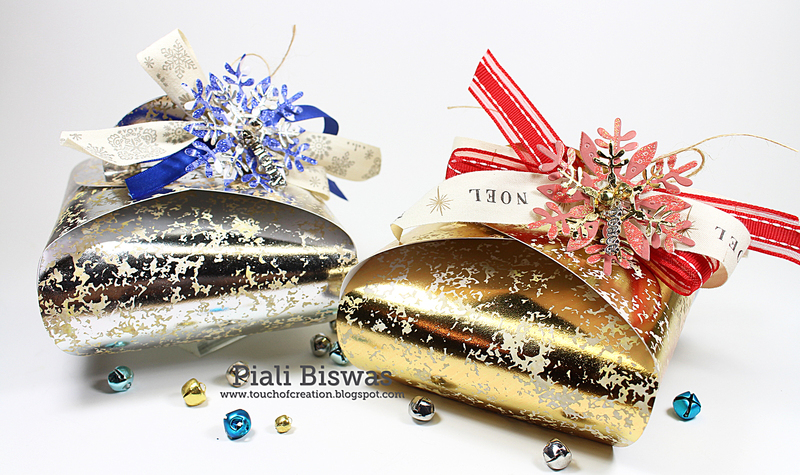 I used the gorgeous Mercury Glass Stack by DCWV for this cute petal bags. THIS diecut is from Silhouette Store. I die cut the gift bags using Silhouette cameo and then embellished them with fabulous May Arts ribbons, some Blue Moon Beads charms and few Snowflake diecuts. Here is close look at the embellishment cluster. I paired blue with silver Mercury Glass paper...love the combo!! Hope you all liked this packaging idea!!! 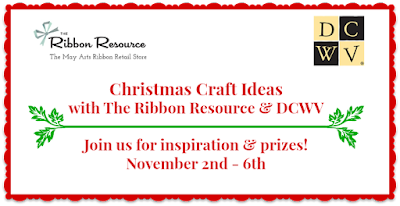 Please hop over to DCWV Blog for more ideas and a prize.